Obviously, playtesting your games is a critical part of the design and development process. 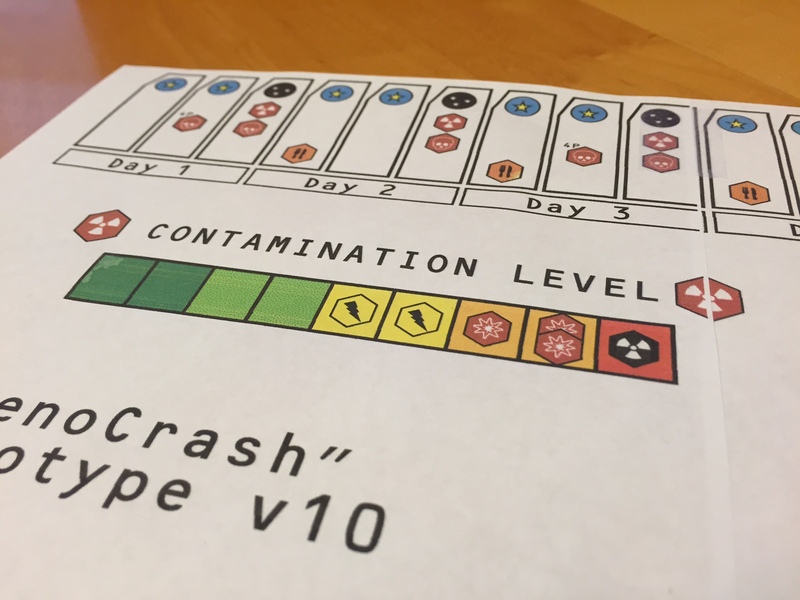 I’ve heard several designers say that a game will need to be tested 50 to 100 times before it’s ready to be published. This sounds like an extremely long and daunting task. 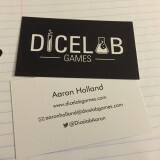 I thought that if I shared my playtesting process, it might help you, or you might know some tips to help me as well. This is always one of the biggest challenges we all face when testing games. You can start with your circle of friends, but you don’t want to have them playing the same game all the time. It’s really easy to burn people out and they’ll be less likely to want to help you in the future. I’m in the fortunate position of owning a comic book and gaming store and having access to lots of players who are always looking for something fun and new. The first couple of times that I get a new design to the table, I try to have the test be with some of my closest friends who are the most vocal. Based on past experiences, I know that I’ll get very honest feedback. After some edits have been made to smooth out the biggest problems, I schedule a more “open” playtest hosted at the store. Then, the routine settles into a test every 1 to 2 weeks with an edit in-between each. If you don’t have access to a lot of players, there’s a few ways to try and find them. Talk to the staff at your local comic and game stores, and look at their calendars for board gaming related events. See if there is a local gaming Meetup group and join them. Search Facebook for game design groups like the SUP Guild and Indie Game Alliance. No matter how you do it, reach out and ask other people questions. The gaming and design community is relatively nice as a whole and tends to be very helpful. Almost all the testing that has happened with my games to this point has been with myself present. You can answer player’s questions on the spot and can make adjustments to the game on the fly. I used to participate in most of my testing as a player to see how I felt about a game. Over the past few months, I’ve adopted the roles of teacher and observer. I found that when I was playing, I wasn’t taking enough notes and observing player behaviors as closely as I should be. I don’t walk away from a playtest without 1 to 2 full pages of notes, plus the player feedback forms which I ask them to fill out. 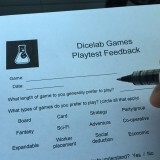 If you’re not yet using player feedback forms when you test, I highly suggest that you do. Sometimes, players are afraid to tell you negative feedback in person because they don’t want to hurt your feelings. If they can write it down, knowing that you won’t look at it until later, they might be more inclined to be honest and not sugar coat anything. Plus, you now have a physical thing you can go back to later and compare to others and look for trends. Get data! Player behaviors. Do they look bored? Excited? How engaged are they? How did they physically interact with the pieces? Did they fiddle with anything? What sort of conversations occurred between them? What did they do when it wasn’t their turn? Number balancing. Was something overpowered or underwhelming? How often did each card come up? How often was each space used? Did someone follow a specific strategy and end up with a really low or high score? Mechanics. What was happening in a way that you didn’t want it to or didn’t expect? Was an action being overused or underused? Are there mechanics you’ve overlooked adding, leaving parts unplayable? Theme. Is the action and mood at the table reflecting what you’re trying to evoke? Are players using verbiage other than what is actually in the game? This is something that I’m very new to. I’ve done in-person testing for years, but never gotten to the point when I felt one of my games was ready to put out into the wild. 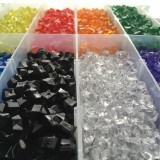 One of my designs will finally be ready for blind testing around the end of February. So now what do I do? I’ve started by reaching out to a designer group which I’m a part of on Facebook, the SUP Guild. They’re specifically dedicated to helping designers perfect their ideas and giving feedback on them. A few people replied to me about getting the game to their group. Between now and the end of February, I need to tighten up my design and actually write a coherent rule book which can be understood without me being there to answer questions they may have. There’s also the question of how much time and money to put into the playtest copies. The conventional wisdom seems to be to keep it as simple and cheap as possible while still working out mechanics. All of my test copies are just printed on a color printer at home. I use a combination of scissors and a couple of different paper trimmers, then tape it all together. Add a variety of generic game bits depending on the game, and you’re done. I don’t bother mounting anything on cardboard or foam board for the most part. One of my games (which you’ll start to see announcements for soon) is at a point where a lot of the mechanics and specific numbers are becoming locked in. I’m going to start mounting those on chipboard and such by the end of February. 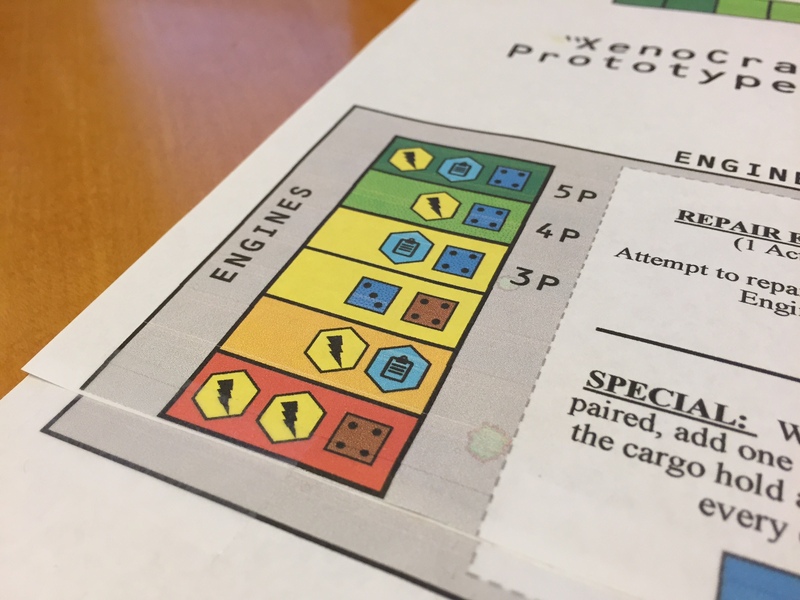 Even though you’re trying to prototype relatively fast and cheap you still want to use icons and colors that lean in the direction you want them to be and clearly communicate ideas to the players. Don’t be shy about using free images you find online for icons and characters. You’re not going to be selling the game with them, so no need to worry about copyright infringement. For my sci-fi game I used character images from Aliens, Prometheus, Doctor Who, and Battlestar Galactica. It’s a simple thing you can do to help convey the theme instead of just having stick figures or a text placeholder of <character image here>. The thing to remember here is not to spend too much time and money on an iteration of your game that is just going to get reprinted and changed almost every time you play it. I hope some of this was helpful for you. 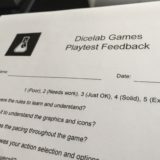 Next week, I’m going to talk about gathering and processing player feedback from playtest sessions. 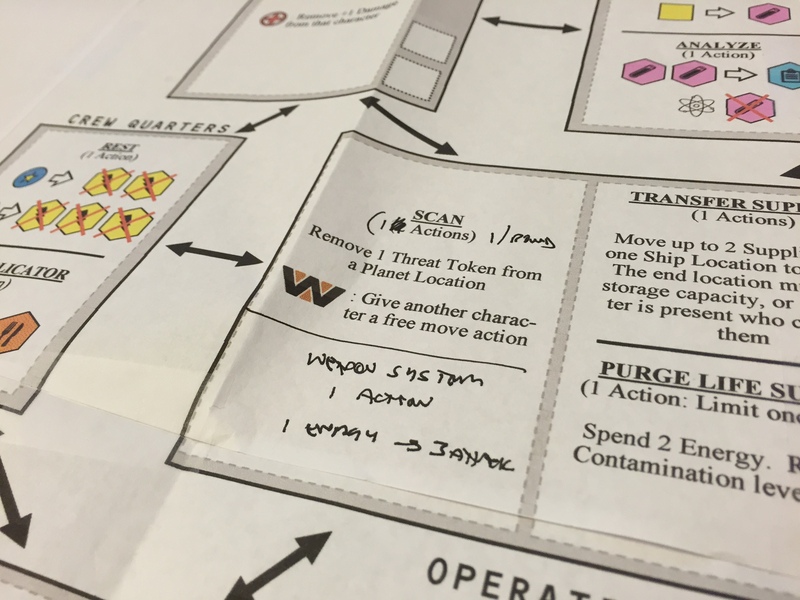 How do you handle playtesting and prototyping?